This eye-catching, hard-selling, MARVEL House Ad appeared in the first issue of COMICS INTERVIEW in February 1983 and heralded the launch of the new US title. 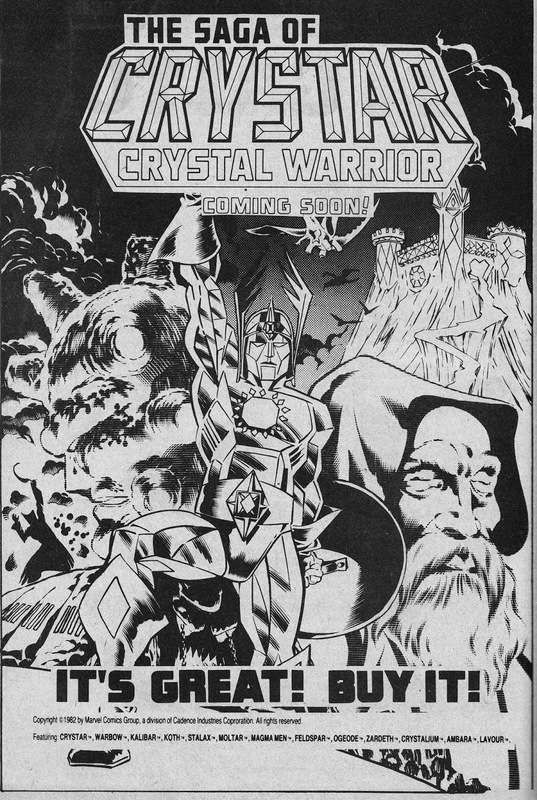 CRYSTAR was an attempt by Marvel to create their own multi-platform property (except it never reached the screen) to try and grab a slice of the lucrative toy/ merchandising boom of the eighties. The US run lasted only a year before fading. The strip briefly surfaced as a MARVEL UK back-up strip in RETURN OF THE JEDI before being quietly dropped.